User Experience (UX) Design is, for many companies, a mainstream part of product or project development. There are employees whose entire job is UX, or at least is spelled out as a specific step in meeting goals, whether it’s building an app or deciding the appropriate technology of how to engage with a community. UX is making its way into larger domestic government and international development institutions, if not institutionally at least by request in contracts. Those contracts, however, and the procurement rules behind them remain barriers. It’s one thing to execute one or many rounds of user experience testing during the course of a program – it’s another to have the kind of contract that permits iteration, especially to the extent of allowing teams to dramatically pivot if user feedback suggests it’s the best course of action. Many financial vehicles do not, which means several, smaller contracts toward a bigger goal or the more arduous task of revising procurement policy. However it happens, it’s encouraging to see more, encouraging to see champions within agencies like GSA and USAID forming teams around this topic to change from within, and encouraging to see contractors demanding this remain a part of the process in order to deliver on quality. 1. Be clear about the fundamentals: end goals and security. Always ask what the end goal is of what you are trying to accomplish: what is the customer problem you are trying to solve? The end client is always the user, not the donor or the government agency that is funding you. 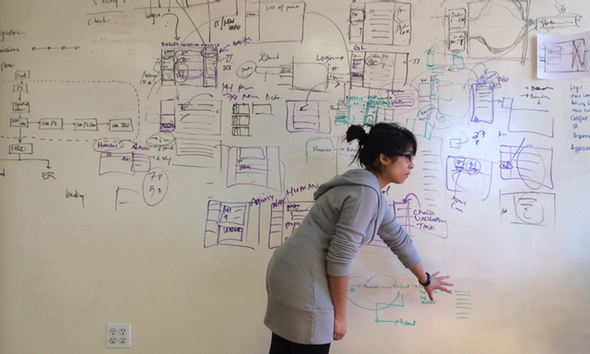 Privacy, security, and transparency are also huge considerations in the UX design process. People need to be assured of privacy and security before using your product/service. When you ask for personal information, always explain why and how it will be protected. Getting the right lingo down in how you’re selling the idea might be part of the problem. It’s recommended to position/frame terminology and approach to your audience when securing buy-in for UX design funds from donors, government, your organization. Position UX as user-centered design, formative research, or feedback loop depending on what your audience is familiar with. It might be a misunderstanding of terms, not a lack of support. 3. Good UX doesn’t always mean finding the right tech. Don’t push tech if people don’t use tech. If people use paper forms and are comfortable with that process/ don’t have access to internet/web platforms, then simplify the paper forms and find a way to digitize them on the back end. At USDS, paper forms were still the right tool for one particular project in considering the user base and distribution. There was still a review of the current forms and the final result was fewer forms, simpler forms, and a workflow for digitizing them afterwards that worked for all. 4. Formalizing UX might require declining work. Larger agencies are still not making UX a priority. I’ve spoken with smaller shops that decline to work with clients who can’t or won’t communicate with them on Slack. A bold decision that’s less about the tech but knowing communication will be less efficient, the project will suffer, and the end result will not be its best. That’s easier said than done for several institutions around town where good luck trying to get even Skype installed on your work laptop. The point being, making UX a priority may need to come from a demonstration of practitioners demanding this from the RfP stage – regardless of schedule, budget, or format – and even stepping aside if it’s denied.